Your outdoor fun doesn’t have to end when the sun goes down! 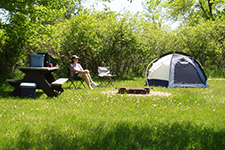 Pitch a tent and spend the night in a Minnesota state park or recreation area. 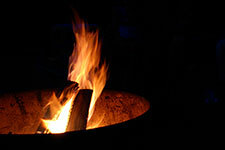 You can attend evening events or spend the night around a campfire roasting marshmallows and telling stories. Whether you're roughing it in a tent, or taking it easy in a cabin, you can find the perfect spot for a vacation in a Minnesota state park, recreation area or forest. State forests provide more than 2,000 miles of forest roads and thousands of logging trails, including 46 campgrounds with 1,000 campsites. 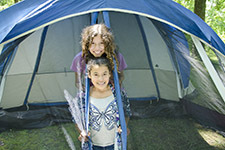 State parks offer more than 5,000 campsites or a variety of cabins, guesthouses and other lodging. Plus, there are thousands of miles of rugged or paved state trails and state water trails that can lead you there. The best adventure start with a plan. We want everyone to enjoy camping in state parks and state forests. Please be respectful of your fellow campers. Make sure you use local firewood to prevent the spread of harmful forest pests.